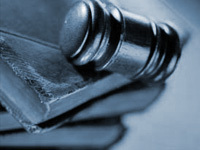 Oppel & Goldberg’s commercial litigation practice covers a broad spectrum of practice areas. The Firm’s litigation caseload is balanced between plaintiff and defense work, with experience in most types of business and personal disputes. The commercial litigation section is headed by Jeffrey Wells Oppel who has handled virtually every manner of business dispute, including all forms of collection matters (garnishments, executions, receiverships, and turnovers), fraudulent transfers and avoidance actions, corporate and partnership dissolutions, fraud, real estate, landlord/tenant, banking, lender liability, and oil and gas matters. Mr. Oppel’s career in commercial litigation extends beyond the City of Houston, having represented clients in cities throughout Texas and across the United States. Additionally, given the Firm’s international clientele, Mr. Oppel has represented clients, or has been involved in cases involving nationals from several foreign countries. Mr. Oppel is not Certified by the Texas Board of Legal Specialization in Civil Trial Law.